It’s difficult for you to not notice your own teeth. You look at them in the mirror at least once a day, or at least you should be doing that! Furthermore, others catch a glimpse of your teeth as well. People other than you have a tendency to point things out that you don’t notice. This may include teeth stains, for instance. You might typically be in a hurry or too busy to notice for yourself, but those teeth stains sure don’t mind hanging around longer. Most people don’t realize this, but there are those whose teeth are naturally colored differently. Therefore, they aren’t necessarily stained, even though they may appear to be. Other than that, there are ways of getting rid of teeth stains, just like with clothes! If you’re a heavy coffee drinker, then cut back. There are other sources of energy that aren’t as harmful to your teeth. Cut back on soda as well, if applicable. You don’t have to eliminate these beverages completely. You can still enjoy your coffee and soda, if they mean that much to you. Just consume in moderation. Sugary beverages not only stain your teeth, but also give rise to bacteria and other unwanted mouth inhabitants. Smoking also stains your teeth, so cut back on that as well (as much as it’s notoriously difficult to do so). Your mom didn’t tell you on a daily basis to take your vitamin during those elementary school years for nothing. Consider vitamins A, C, and D to be teeth strengtheners. They help with the upkeep of your teeth’s health. Calcium is good for teeth as well. When taking multivitamins, or the following individually, it’s vital that you follow the directions on the label. This may’ve been a given, but people do forget to do this! It’s globally recommended that you brush your teeth at least twice a day. That amount may be little for some. Try brushing 3 times a day, with toothpaste. Be sure to be thorough. Don’t forget to brush your tongue as well. Your tongue is just as important as your teeth. It’s always good to have a dentist. You never know when you might need one. For those with insurance, it’s recommended that you visit your dentist twice a year. Remember that sugar intake, smoking, coffee, and soda are to be consumed in moderation. If you don’t quit these altogether, then brush right after. Teeth whiteners may be one of many modern day miracles. 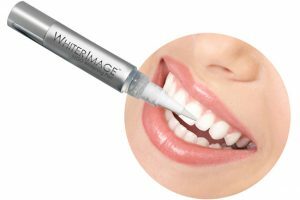 If you’re going to use teeth whitening toothpaste and/or rinse, then do so in accordance to the included instructions.